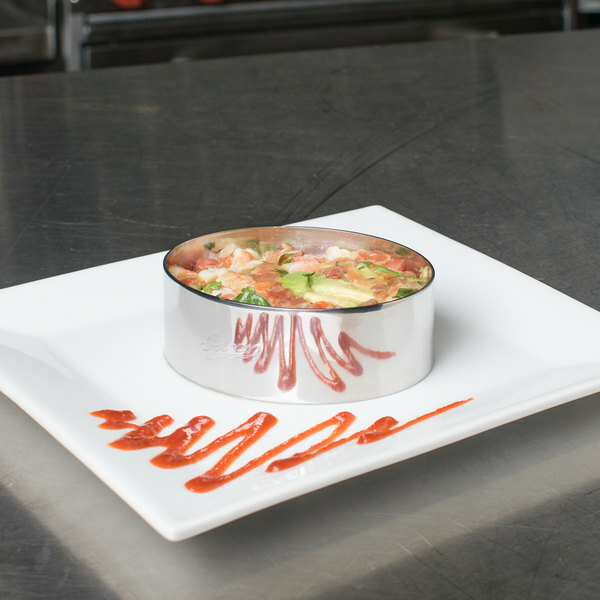 Ensure your meal presentation is always precise and creative with this Ateco 4902 4" x 1 3/8" stainless steel oval shaped mold! Made of high-quality stainless steel, this unique item is durable and built to last. 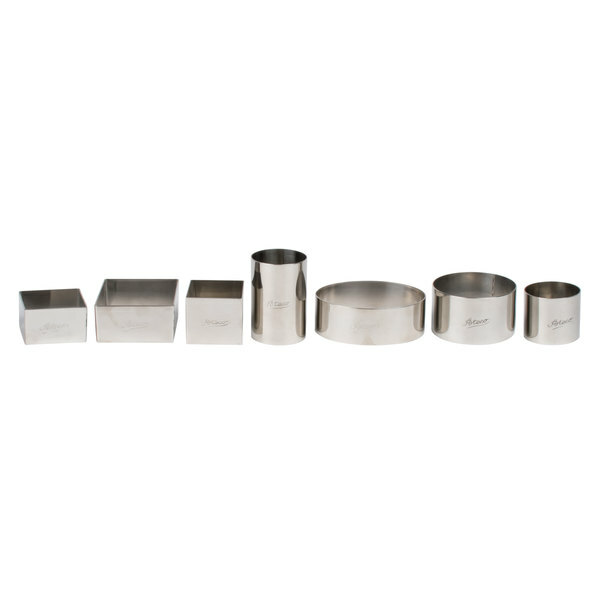 This ensures consistency of size and shape, while also cutting down on preparation time when compared to hand-molding. Additionally, it assists with portion control and therefore helps you to prevent waste and save on food costs! The solid shape allows you to make your dish in your prep area and then easily move it to your serving plate without any mess! Perfect for creating layered desserts and decadent appetizers, this item is just what you need to streamline your bakery operation. 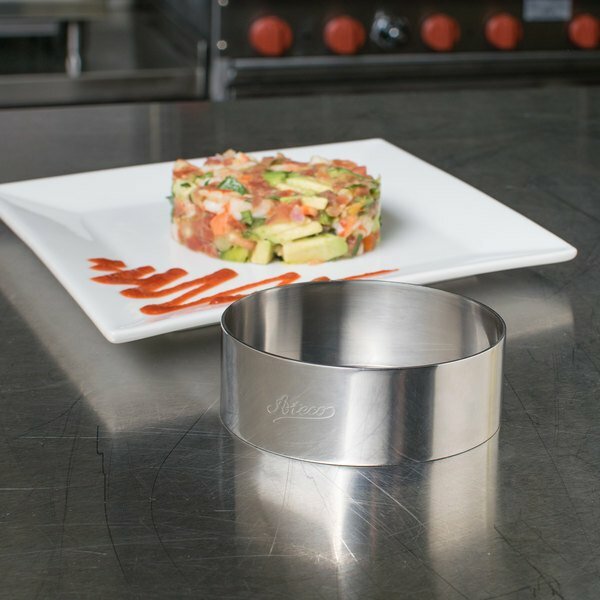 The smooth metal also allows your food creations to easily be removed from the rings when ready to serve. 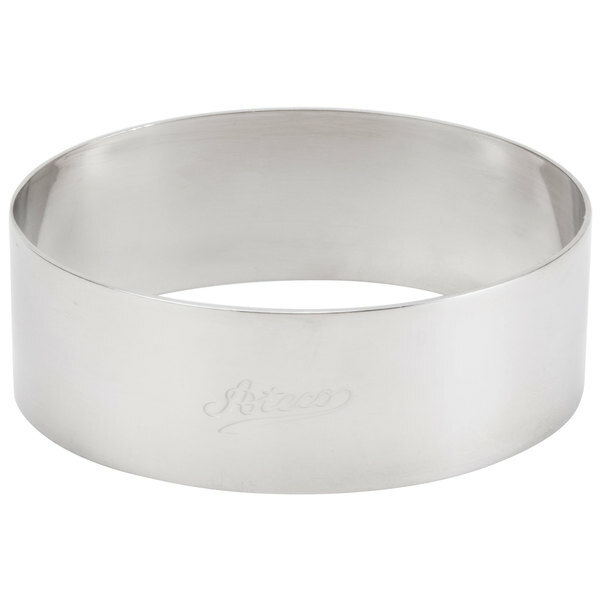 No matter what your needs are, this Ateco 4902 4" oval mold is sure to be a vital tool in your collection! I have been using it for few months and it works like a charm. Guests also are impressed bu how clean it plates my dishes. We use this to plate our pasta dishes and also a few other things. Nice quality, sturdy, and a brand I feel I can trust. The oval shaped form is very nice. I have made some great presentations using it. It is sturdy and holds the shape and does not leak anytning underneath. We use Ateco items for lots of baking and we like these cutters, We use this item for many things. For the price this holds up well. This product is made with good material. 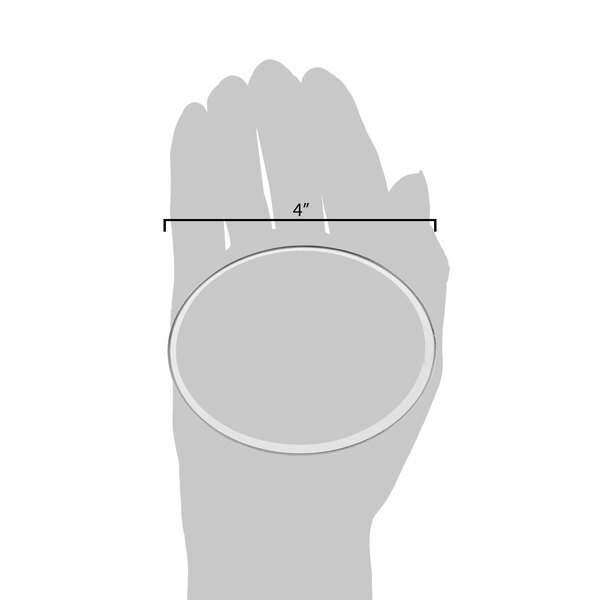 the size is very reasonable and also can do different things. has a good price for this product.